I don't understand why airlines would charge you for bringing a suitcase, you need clothes after all. Can you tell me what you do for EasyJet and other airlines if one has to pay for checked baggage? Side note: I plan on booking a holiday through Expedia. Will they bring up checked baggage and so forth? Is this something I shouldn't really worry about? What is my checked baggage allowance? Each passenger can purchase up to 3 checked bags of 20 kilos. Side note: plan on booking holiday through expedia will they bring up checked baggage and so forth is this something i shouldn't really worry about? The technical name for this is “unbundling”. Traditionally, air fares would include the transportation itself but also food and drinks, luggage, etc. Low-cost carriers separate the different components and charge for them separately. One obvious benefit is that, everything else being equal, the headline fare will be lower and make the airline much more attractive. What to do if you need to take more with you is simple: Pay the extra charge. If you get over the annoyance and the feeling that it is expensive for what it is, you will probably find that the base fare + extra charge is still a better deal than any other reasonable alternative (legacy airline, other means of transportation…). Same thing for on-board food: €5 or so for a snack is not cheap but it's usually cheaper than at the airport or than the difference with a legacy airlines fare. Personally, I fly with EasyJet perhaps 5 to 10 times a year and usually don't take any hold luggage. As a matter of fact, I also fly legacy airlines for business and even when hold luggage is included in the fare, I will often avoid checking in anything because it's a hassle. 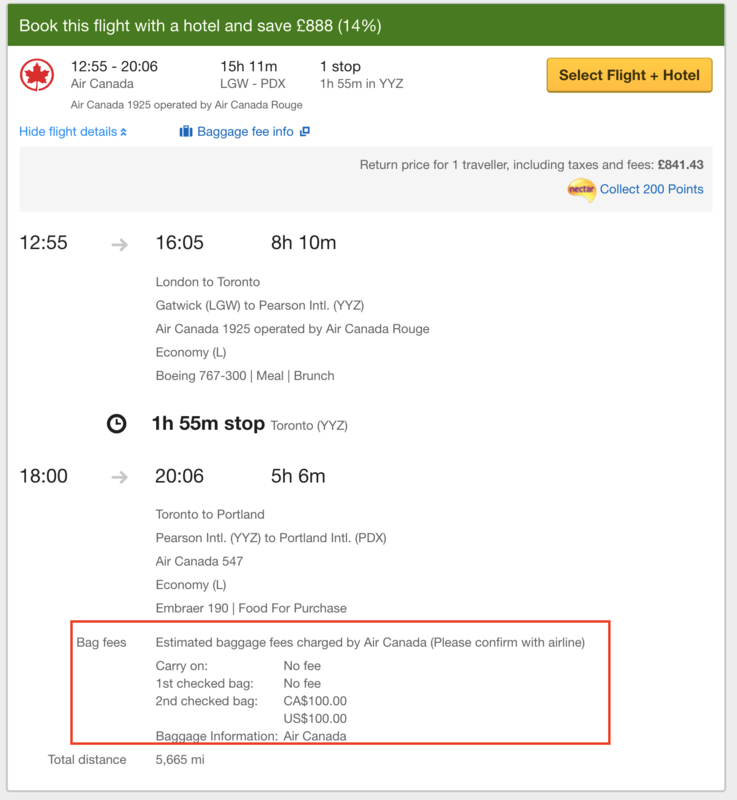 When booking a flight online is the checked luggage fee included in it? Bundling together items to meet baggage allowance? Do most major airlines measure the checked luggage for dimensions?